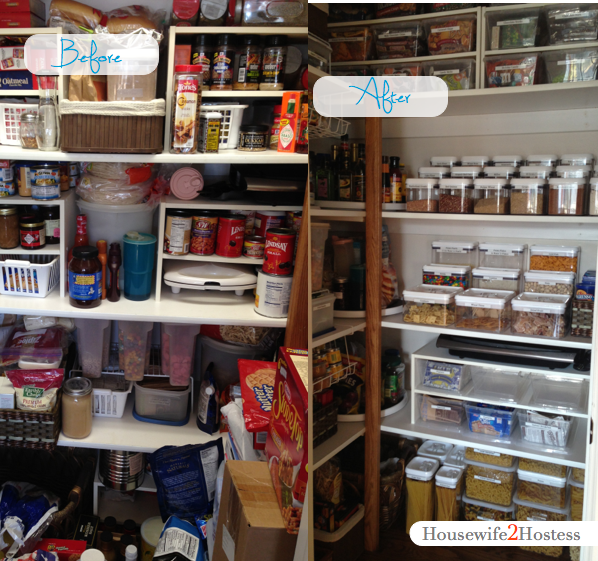 I recently had the opportunity to organize a very large pantry and it was such a fun project! 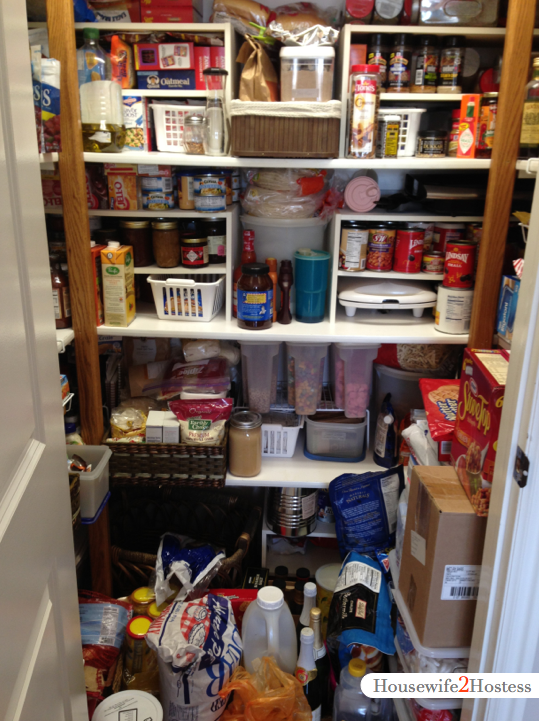 It was fun for two reasons: First there was more food in that pantry then l have ever seen in any single pantry. Secondly, it was a bit of a difficult space because it had so many corners and but I always love a challenge! 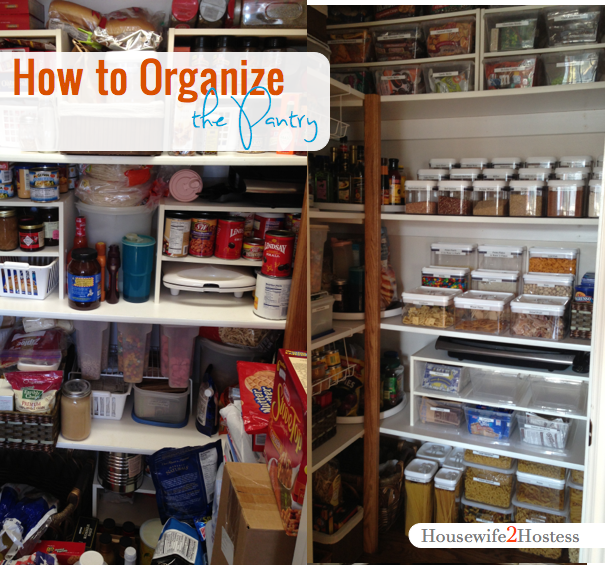 With the pantry, the first thing I always try to do is clear out the space completely. 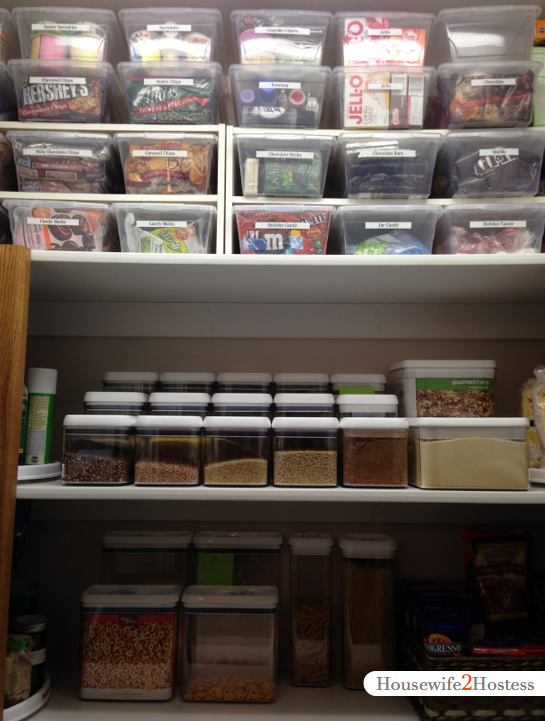 This serves the following purposes, it allows me to look at the space and imagine possibilities and you are able to separate the foods into categories and then clean every nook and cranny. It’s also important to have the owner to see all of the things that they have and are unable to fully utilize because their system is not effective. Remember to put the things back in order of use and relativity. 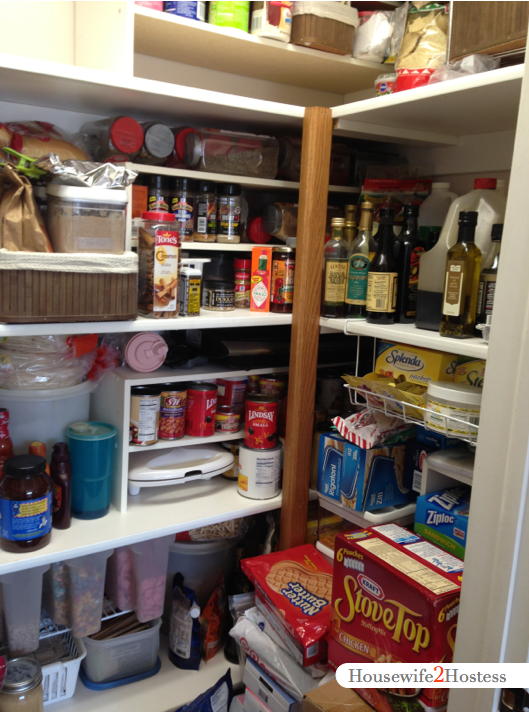 Snack foods will be at at eye level for kids so they are easily accessible while things like baking items, bulk ingredients, dinner foods, pasta, potatoes, etc. are at higher and lower shelves. That is actually the hardest part, you might find yourself rearranging shelves until it looks and functions just right. It’s also okay when you’re using a system day to day and if it doesn’t seem to work tweak it and twerk it, yes I just said that. Another important part of organizing the pantry are the tools used. 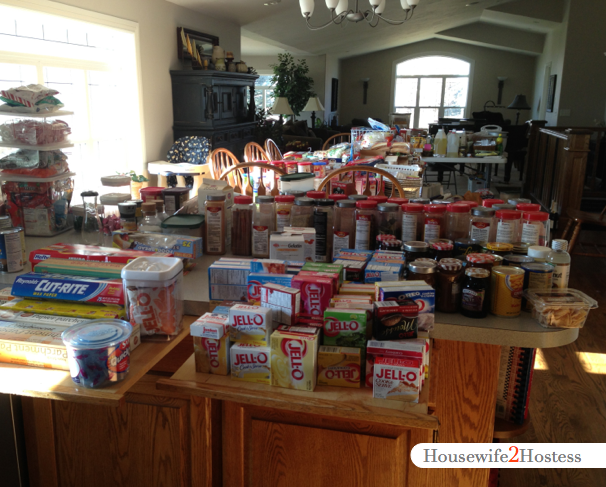 We used shoeboxes for baking ingredients at the top, baskets, Lazy Susan’s for the corners, airtight containers for dry goods, large plastic containers for pasta, etc. Try to find containers that maximize vertical space as this is an easy way to get more in. Once you really start going and building momentum things will start to come together quickly and you’ll be able to see the bigger picture take form = happiness! 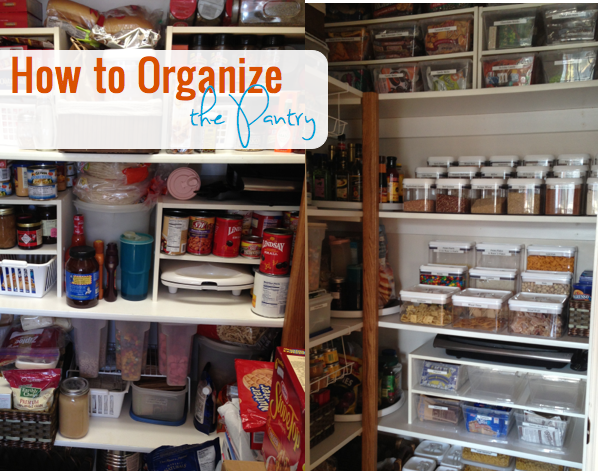 Once your pantry is organized and you’ve done all of that work plan a meeting with those that will be using if as well. Explaining to others how to use the new system will help you keep it clean and neat.